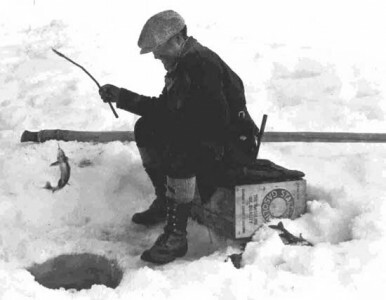 A lot has changed with ice fishing since the 1930’s, as the picture above shows. With technology advances and decades of trial and error, there are a number of new methods that help ice anglers discover where the fish are. I recently asked veteran angler, Mike Violette of Missoula, what ice fishing gear he “must-have” while he is out there reeling em in, and he gave me his top five.